It’s Tuesday, you know what that means! 1. Well I had the blog all packed up and ready to move, but as you can see it didn’t. I must have done something wrong. Typed too fast (shocking!). So I will attempt to make the move again this weekend. 2. Speaking of this weekend, is August really going to be over after the weekend? Where the hell did the summer go? “Summer hours” at work ended last Friday and now we are back to the regular 8-4 grind. And I don’t like it. 3. We had a yard sale this weekend and did pretty well. We got rid of a ton of junk treasures and made a good little chunk of change. We cleaned out the basement in preparation of making it a playroom. E has mastered going up and down the steps so we no longer keep him from going down there. In fact, he loves it down there! Stay tuned for the progress, I am sure it will take awhile. Me: Ethan, what do you want to eat? Me: What do you mean nuffin’? You have to eat something! 5. 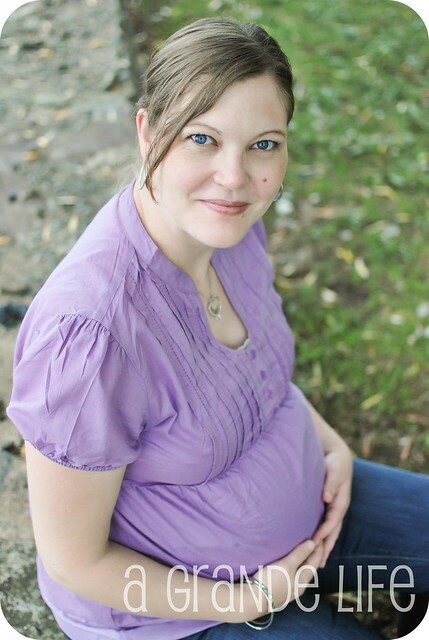 I just finished editing my latest maternity session. She was pregnant with twins (they were born last Wednesday!) and I am just loving her pictures. I couldn’t believe there were 2 babies in that belly. I can not wait for their newborn session! Squee! 6. This weekend the hubster has his fantasy football draft. I dread this every year. It’s the kickoff to me being a widow on Sundays. 7. I really need to go to PF Changs, like yesterday. I have been craving their lettuce wraps and no one seems to want to take me there. Who wants to go? 8. I am loving all the questions I have been getting with “Who are you?”. If you have any other burning questions, leave them as a comment and I will answer them shortly! « I really wanna know….